Leave the rat race behind by moving to Tomoka Heights. 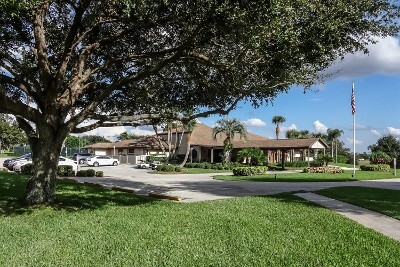 As a gated community with high-tech security, Tomoka Heights is a quiet and safe alternative to popular retirement spots. However, we are an adult community, so at least one resident of each household must be 55 or older. Why settle when you can move into your dream home? Our builder of record is Indigo Builders of Lake Placid, Inc., who builds "custom look" single-family homes, duplexes, and villas within an affordable budget and delivers exceptional savings in energy costs through high-efficiency design principles. With more than 11 plans to choose from, you'll be able to select a design that suits your family perfectly. Tomoka Heights is more than a neighborhood: it's a true community. As a resident, you'll have access to an attractive clubhouse, a heated pool and spa, planned activities, and more. 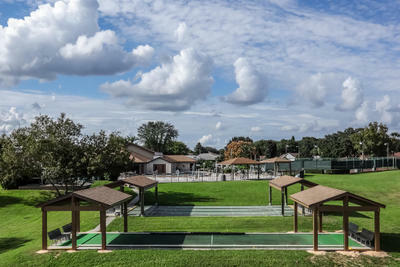 We're close to several golf courses, shopping, and dining, and Tomoka Heights itself has tennis, pickleball, shuffleboard, and bocce facilities. The community also features beautifully maintained common areas and private streets for walking and biking. All our homes are within an easy walk of Lake Henry and the community's lakeside pavilion. 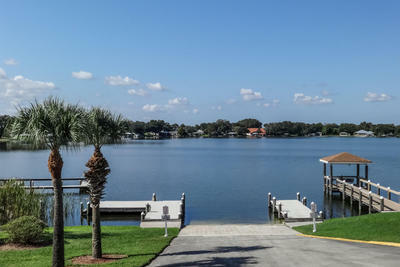 We also have a boat ramp and fishing docks located on our property. Lake Henry is a lovely spot for boating, fishing, or simply enjoying the beautiful sunsets. Lake Placid is a wonderful rural community with excellent shopping and dining. The town is known as the "Caladium Capital of the World" and is also famous for its many murals created by local artists. In addition, there are several golf courses nearby as well as high-quality medical facilities. 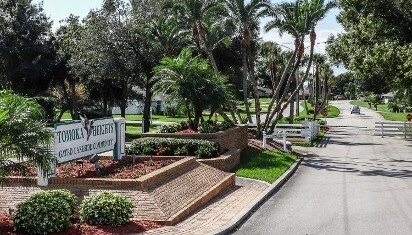 Tomoka Heights is a friendly, welcoming community, so you'll feel at home in no time. Our goal is to make the experience as simple and seamless as possible, which is why we provide personalized service to all new residents. Tomoka Heights is a volunteer-driven community that is governed by a board of community members who ensure the continuation of services. This self-management model helps us keep monthly fees at a reasonable level, as we do not have to employ a management company. Because of this we have affordable association fees.